Hi! Today I've got a Sheswai (pronounced she-sway) polish to show you. I've admired these polishes from afar for a while due to the eye catching wooden caps, so I was excited to receive a bottle from Mise Beauty. This shade is called "What", a deep taupe-purple creme. Application was buttery good! (yeah, I really did just say that) it was almost perfect with just one coat, and completely perfect with two. You can tell it has a high-end formula. It's also super glossy and quick drying, I didn't use any top coat. This isn't a colour I'm very familiar with, I really like it though! Sheswai also have the cutest bottles. The caps are made from sustainable wood, grown on family owned tree farms, and the polish itself is free from all the chemical nasties. How cute is that? I love the design on the front of the bottle too! I am such a sucker for pretty packaging, luckily it's not just a pretty face though in this instance and the formula really stands up. 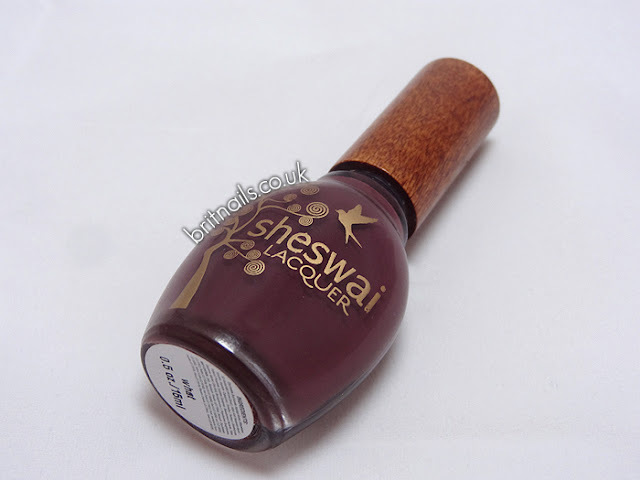 Sheswai is available to buy in the UK from Mise Beauty at £12.50 each. I love the look of this bottle! The colour is lovely, too! Purple/berry shades are right up my alley. Ooh the wooden bottle cap does make it different. Though it's a bit expensive for me I quite like the shade. I would like to wear it in fall. 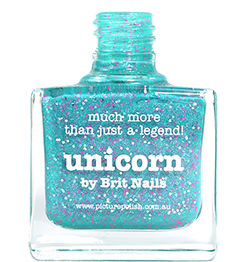 oooh i love the color and the bottle is so cute!